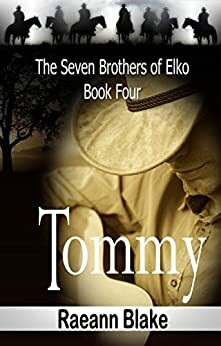 Tommy (The Seven Brothers of Elko: Book Four) - Kindle edition by Raeann Blake, Baraba Gunn Smith, P.O. Milligan. Literature & Fiction Kindle eBooks @ Amazon.com. Tommy Joe Branden was tired. Tired of living from bus to jet, sleeping in between towns. Tired of having to tape the name of each town to his guitar so he wouldn't make a mistake on stage. And he was especially tired of missing his family. Missing out on so much of their lives. He was tired of being alone. The decision he made created a media storm around all of them, especially the tabloid vultures that he despised. But in the midst of the storm he stumbled over a pretty little girl with amethyst colored eyes with a pretty name... and a secret past. What happens when his brothers start digging? Carley Cierra Adams had every intention of staying invisible, unnoticed and unnoticeable as she temporarily hung around the edges of Tommy Joe Branden's life. She certainly never meant to get captured by the famous baby blues. Never meant to dance with him. Never meant to see him again. And she sure never meant to kiss him. 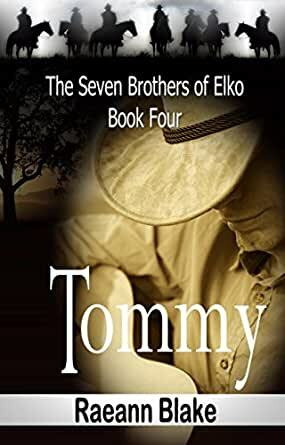 Meet The Seven Brothers of ElkoNo one could have foreseen the chain of events that would be set in motion when Tommy Joe Branden insisted that his &apos;little sister,&apos; Brinley Phillips, accompany him to Vegas for a few days for some much needed time off. Samuel Davis Reardon is Jake&apos;s younger brother by two years and the two men so closely resemble each other that they are often mistaken for twins. Davis is currently employed with the Texas Rangers but visits Jake in Nevada when he can. Tommy Joe Branden is a popular country music star who grew up with Brinley and was best friends with her late brother. After his death Tommy took it as his responsibility to fulfill the role of &apos;big brother&apos; for her and her younger brother. Ronald Casey Williams is Brinley&apos;s younger brother, the baby of the family. With the rest of their family gone, Brinley and Casey only had each other and Tommy. Casey is a college student working towards his dream of becoming a veterinarian, but sometimes dreams change. Jace Garrett (Bo) Canton is Jake&apos;s ranch foreman. Bo was the first man Jake hired and he&apos;s been with him ever since. Polite and sort of shy, he&apos;d been a loner most of his life, never staying in one place too long...but no more. Lonnie Case Howard is another ex-Texas Ranger and Jake&apos;s partner in their security/bodyguard company based in Las Vegas. Lonnie left the Rangers before Jake and bounced around the country for a while until he eventually landed in Las Vegas. You will meet each of these men in Jake&apos;s story. You will learn more about each one through their own stories. Only they can tell you how one chance meeting ultimately leads them all through an intricately interwoven web of hope, love, heartache, lies, deceit, and murder. Only they can tell you how they become The Seven Brothers of Elko. Ms. Blake&apos;s books were initially written strictly to quiet the voices in her head that kept telling her all these stories. Those who have read them encouraged her to make them available to the public. She released them with no expectation of them becoming a commercial success, but wanted to share them with others who might enjoy reading them. Each one of them is outside the industry standards for the genre in terms of length. She feels that they are told the way the stories needed to be told and understands that some readers do not want to invest that much time in a single work. However, she is happy to make them available to all of those who prefer novels that can&apos;t be read in a matter of hours, as she does. It takes a diverse group of readers to keep the industry strong and she applauds all those who buy and borrow any book of any genre, short or long. Certainly not all books are for all people. If Ms. Blake&apos;s books fit the bill for you, she hopes that you enjoy them. A beautiful continuation to the 7 Brothers of Elko. This series is among my favorites and the author as well. Raeann has created a beautiful family of men who support their wives - together they become an amazing family. This series will call to you over and over. The book moves long so sweetly bringing Tommy back to the ranch and away from his country singing stardom. The reader is drawn back to the ranch, to family history, and to an amazing support system that lies in that acreage and beating in the hearts that call it home. Truly pick up this series - start with Jake, move on to Davis and then to Michael. The characters from those will welcome you to Tommy's story . As the pages begin to run out the reader will be anxious for raeann's next - no cliff hanger - just longing to return to the magic of this author's imagination and admiration for Texas Rangers. I'm giving it 4 stars because I really love the series. That being said, I found myself a bit like Casey - unsure. In fact, I read the book twice, before I even decided to write a review, because I really wanted to LOVE this book. I did like it a little better the second time. At least I accepted the conflict between Tommy and Carly a little more. But my 2 biggest problems were: 1) I really expected more difficulties with the Tommy/Carly relationship; 2) the introduction of Casey/Dakota dilemma taking away from the main characters. And while it's always great to see the other family members, rehashing (in detail) soooo many things that happened in the other books got a little old. Besides, most of us have re-read the other books several times. I understand Raeann wanting to attract new readers, but it was a bit too much. If you haven't read the other books, you should read them first (and I think it was a great idea to offer them at a discount). I know this is a labor of love for the author, and she wants to keep her fans happy, but take your time on Casey, Raeann. We can wait. We waited for Tommy for what seemed like forever! But, as with Raeann's other books, it was well worth the wait. Of course, Tommy was in each of the prior books, but we didn't really know much about Tommy himself. It takes the character's story to find those things that really make a character live. Tommy is a very popular country singer, has the money and accolades that go with the lifestyle and talent. But he's lonely, has no one to share his life with. Until a fateful evening when he meets Carly and loses his heart. Carly has a secret...a big one that will tear Tommy to pieces. Everyone is effected by Carly's secret, Tommy and Brinley especially. Will Tommy be able to get past Carly's secret? We've met all the characters before, and they all help Carly and Tommy toward their HEA. WOW!!!!! I don't write reviews well because I don't want to ruin it for someone else. Once again Raeann has successfully covered every emotion possible. Today's mood is depressed.......why......because I finished this book this morning. I've wondered if I'm insane for being so emotionally attached to a family of people who only exist on paper. As usually with this series, Tommy's story is an emotional roller coaster. These characters love with all their hearts and take each other's pain. 5.0 out of 5 starsGREAT BOOK - WORTH THE WAIT! Tommy is OUTSTANDING!! I was kept waiting to see what else was going to be thrown in front of him to keep him from being happy. I'm really happy that he was able to see beyond the past and finally see his future begin with CC. I was not able to put the book down once I started reading it - thank goodness that my husband works nights and 13 hour shifts - so no interruptions! I loved this book and can't wait for the next on to be released! RAEANNE IS THE GREATEST - keep them coming!! Raeann Blake writes in a great style that holds your attention. 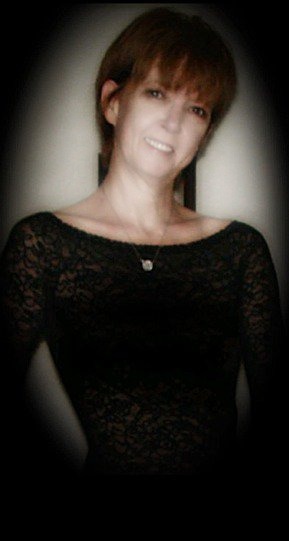 She has a wonderful series going here and her readers wait as patiently as they can for the next book. Tommy is a hit singer and falls in love with a girl who he thinks is trying to destroy him. Doesn't that catch your attention? I suggest you read this series in order as each book adds to the one before it. 5.0 out of 5 starsLoved the Book! I really loved this book as I have all of The Seven Brothers of Elko. It was very easy for me to get caught up in the book and put myself in the book. The entire time I read the book I found myself forgetting these weren't real people and wanting to be part of the family. I hope Raeann plans to write books for the remaining brothers.